Scientific research has resolved a major difference in the photosynthesis between green algae and cyanobacteria. From this, it was suggested and experimentally proven that many cyanobacteria are more sensitive to hydrogen peroxide than green algae (Matthijs, Visser et al. Water Research 46, 1460-1472). Application of this knowledge has led to successful selective suppression of a harmful cyanobacterial population in an entire lake leaving green algae and zooplankton largely unharmed. Provided pre-studies and method of application are done with care, the method may find wider application. 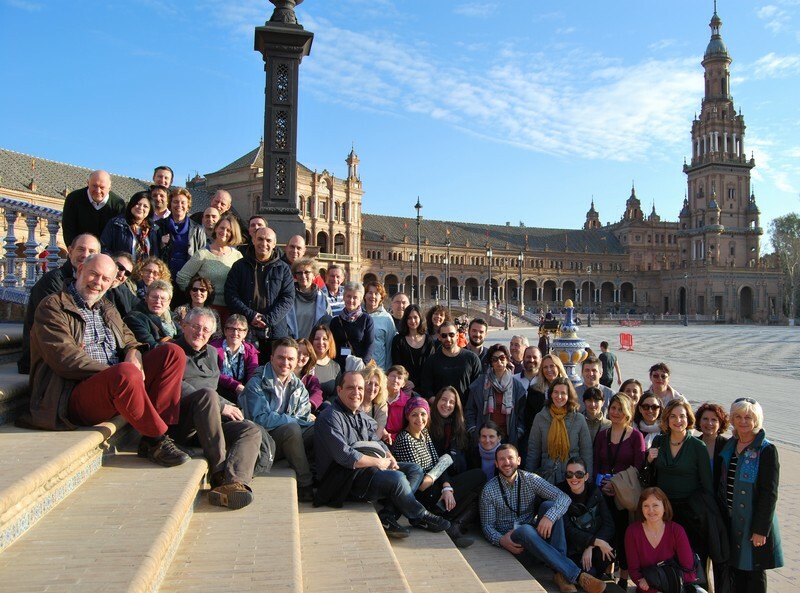 The Peroxide Training School of CYANOCOST provides the knowledge for testing whether a water body can be cured with peroxide in an ecologically safe way, or rather not. The Training school also focusses on safe and good practice policies in peroxide application technology. 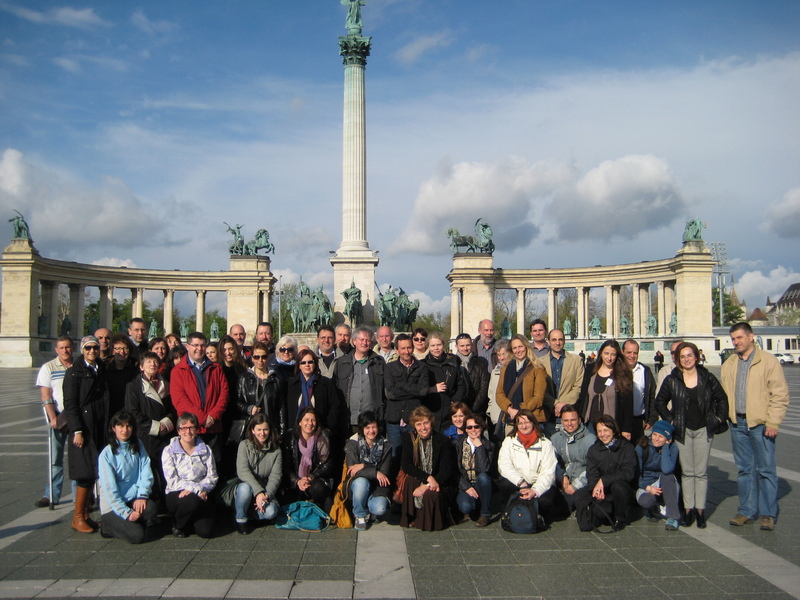 The 5th combined Working Groups (WGs) - Management Committee (MC) Meeting of CYANOCOST took place in Hungary (Novotel Danube Hotel) from 10-11 April 2014. 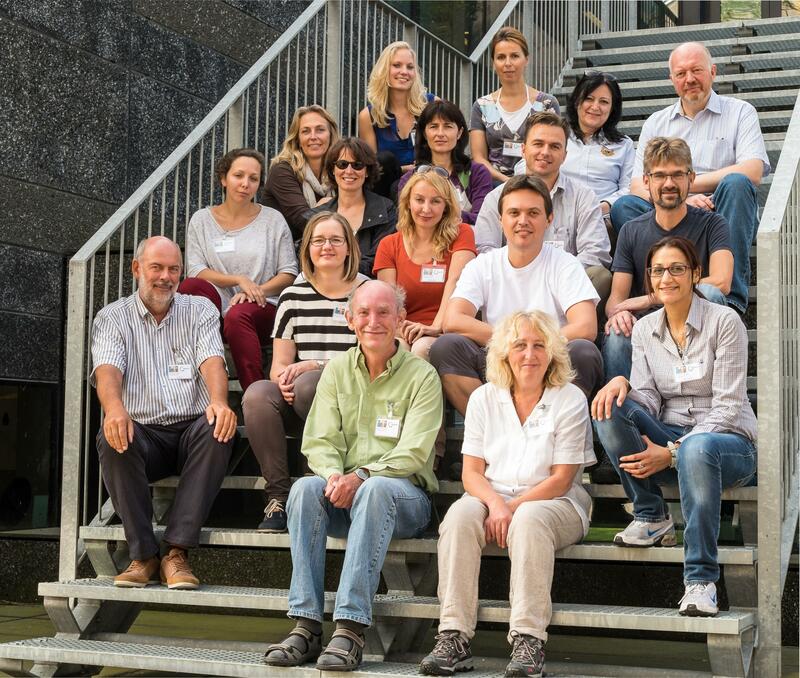 It was organized by Dr. Andrea Torokne, MC member of CYANOCOST. The 2-day meetings started with representatives of Hungarian authorities who talked about water management issues in Hungary. Gabor Vasas made a review presentation about toxic cyanobacteria in waters of Hungary. During the WG sessions much progress was made in preparing the books and special issues which are main products of CYANOCOST.Opportunties for Horizon 2020 research project were also discussed. Maria Mirachtsi, from WssTP platform presented the activities of WssTP and how CYANOCOST can benefit from them. Valeria Constantino made an impressive presentation about the "Quest Drugs from the Ocean", i.e. about beneficial aspects of cyanobacteria related to drug discovery. Theodoti Papadimitriou presented an overview of the presence of toxic cyanobacteria in lakes of Greece, focusing on lake Karla, which is under restoration after being completely dried-up in the 60's. More details about the meetings as well as the presentations by Costantino and Vasas can be found in the attached files. Presentation: V. Costantino & C. de Sterlich (NEANAT, Italy) : "Quest Drugs From The Ocean"
Presentation: Gabor Vasas (Umiv. 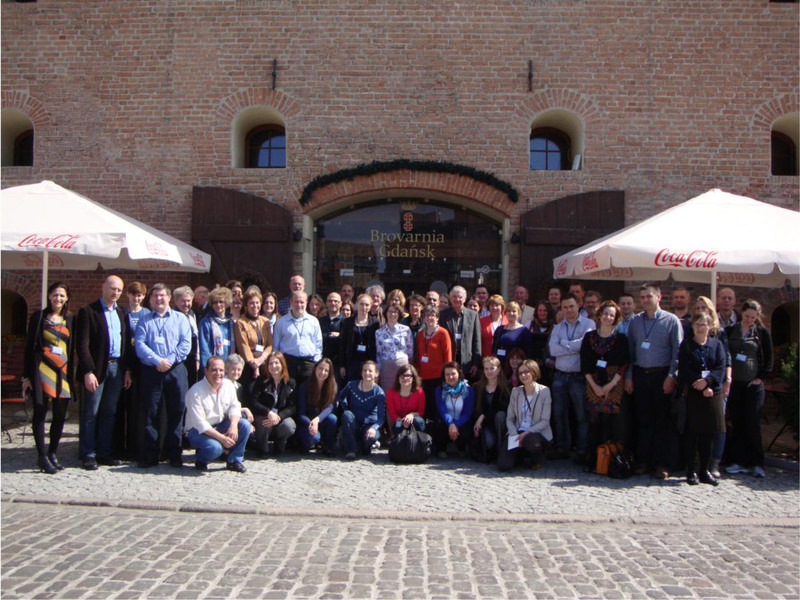 of Debrecen, Hungary): "Toxic cyanobacteria in Hungary"
The kick-off meeting of CYANOCOST took place on 11 April 2012 in COST Office, Brussels. A total of 33 participants (and 2 observers) from the following 19 countries attended the meeting: Belgium, Bulgaria, Finland, France, Germany, Greece, Ireland, Italy, Lithuania, Netherlands, Norway, Poland, Serbia, Slovakia, Slovenia, Spain, Sweden, Turkey and United Kingdom. 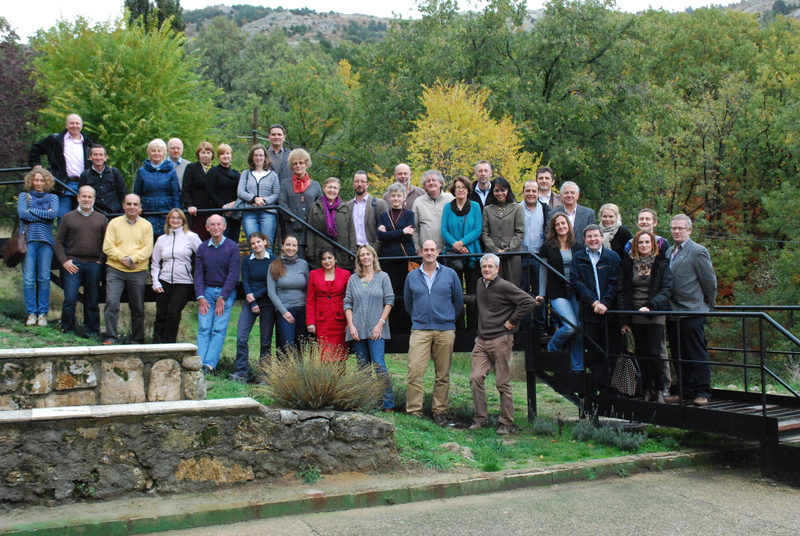 The Management Committe (MC) elected the Chair, Vice Chair, Grant Holder, STSM Manager, Web manager and Working Group (WG) leaders of CYANOCOST. A Work & Budget Plan for the 1st Year was approved by the MC. See the meeting's minutes for details.